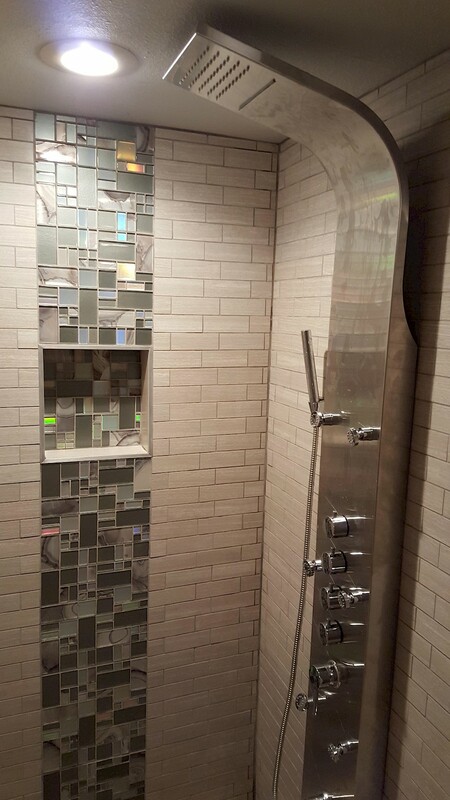 This Ann Arbor bathroom renovation involved an update to the framing and drywall prior to adding a glass-enclosed shower to the current basement bathroom. 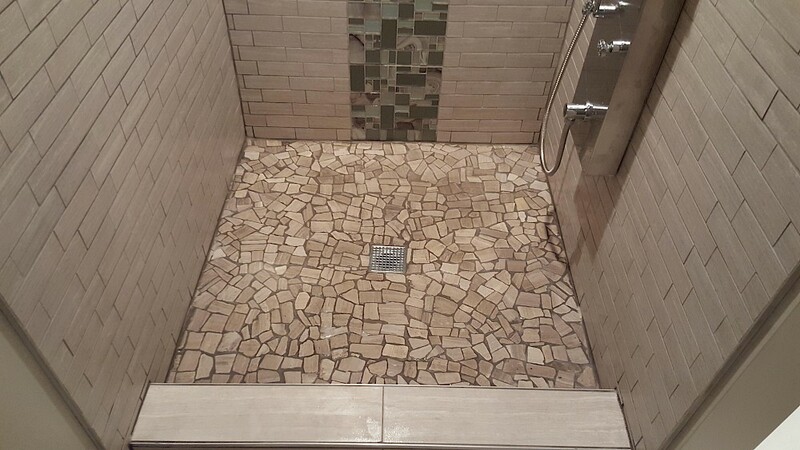 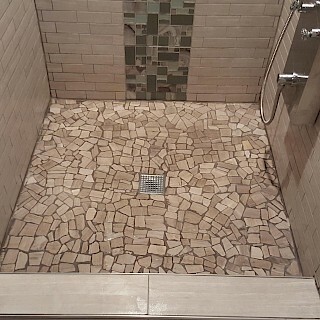 The concrete flooring was removed allowing us to waterproof and add a shower drain prior to sloping the newly installed concrete to maximize shower drainage. 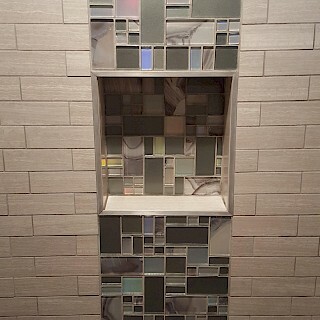 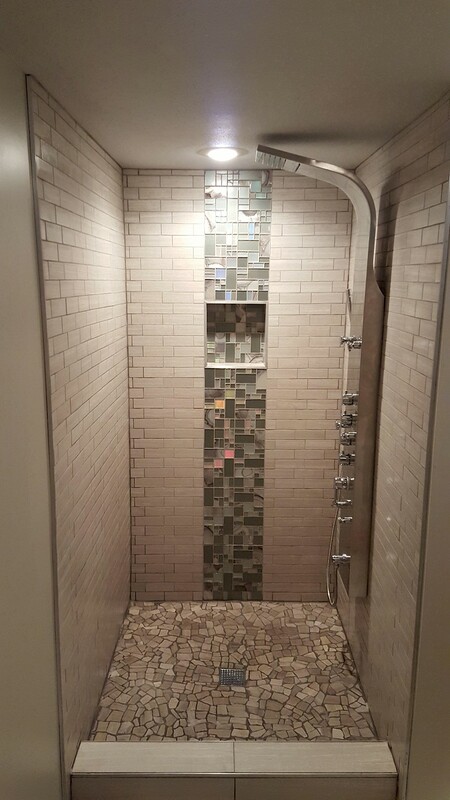 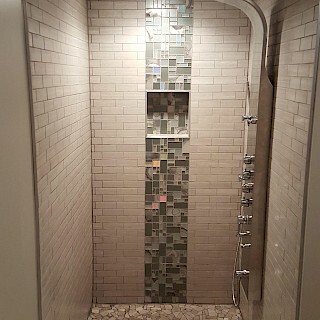 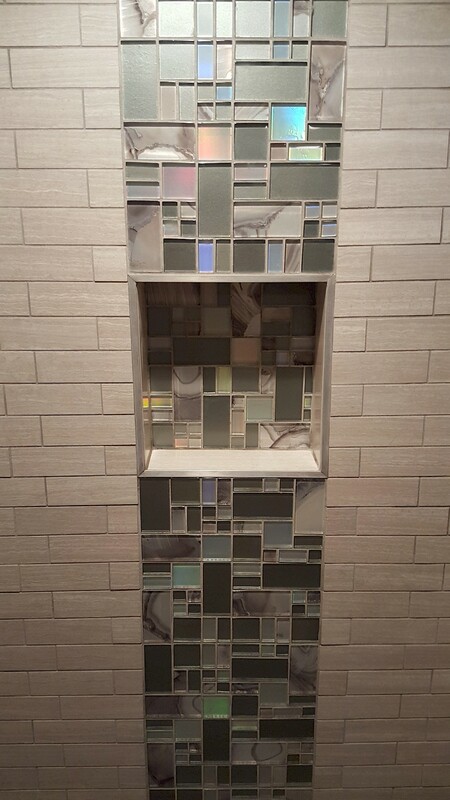 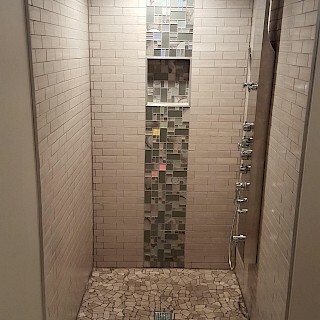 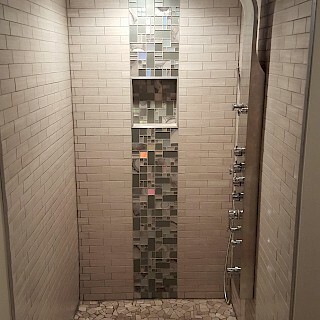 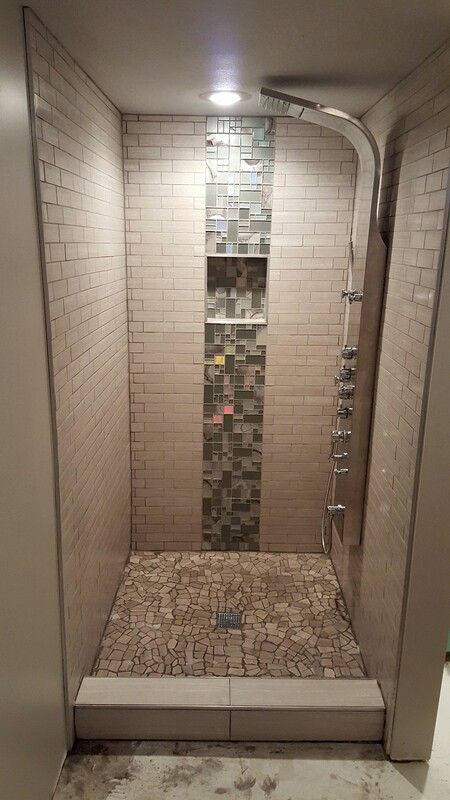 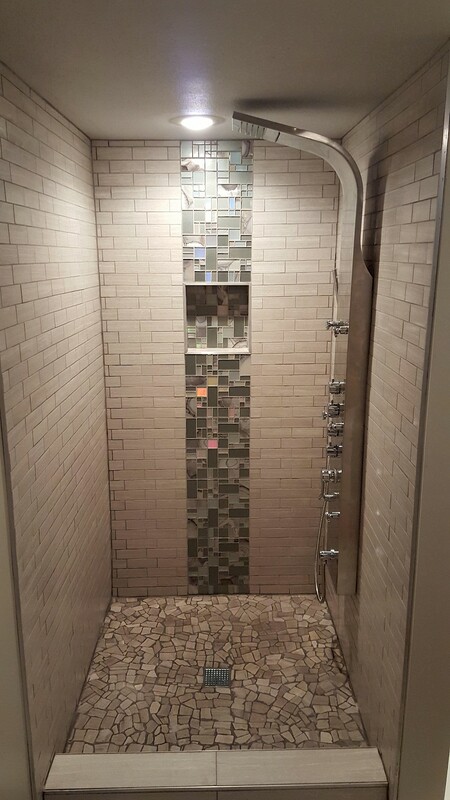 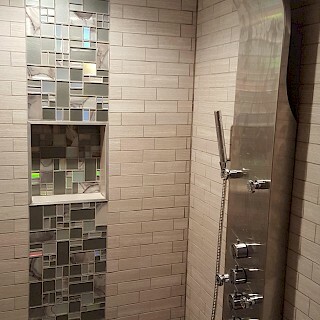 Tiling included adding a stone mosaic floor and porcelain subway tiles, both accented with a vertical glass row with shelving properly added to avoid damage to any glass tiles.